From counting to counting in tens, adding and subtracting on a number line, recognising coin values and identifying 2D and 3D coins – in Y1 your child's numeracy education steps up a level and becomes more structured. Review their understanding of the fundamental concepts with our Progress checks and identify any areas where they might benefit from extra maths practice, games and support at home. 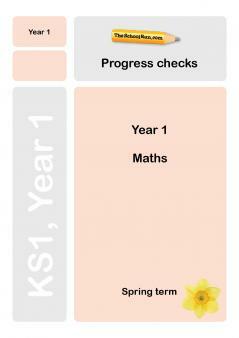 Written by a KS1 teacher to help you identify any areas of Y1 maths your child is finding tricky, the Y1 maths Progress checks will suggest topics to practise at home. Each term’s maths test consists of 20 questions and a total of 20 marks. Allow your child around 20 minutes to complete the test. 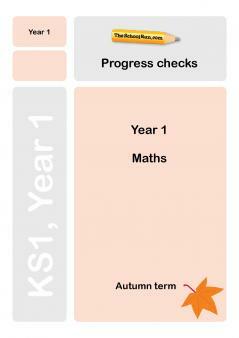 Our parents' guide explains everything you need to know about what your child learns in Year 1 maths. 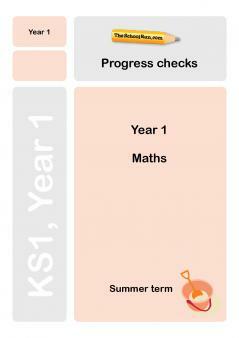 You can also look through all our Y1 maths worksheets or follow our step-by-step Learning Journey for Y1 maths.